Slowly, steadily, through late-night conversations and an ever-growing stack of mixtapes, Eleanor and Park fall for each other. They fall in love the way you do the first time, when you’re young, and you feel as if you have nothing and everything to lose. I had been hearing about this book this ages and I finally got to read it last year. I liked it don’t get me wrong, but it certainly wasn’t the Big Grand Amazing YA Book I’d heard it praised as. The amount of love and praise didn’t match up with the book I read. It was, for lack of a better word, sweet. When you break it down it is also heartbreaking and admirable, and the characters are the best they be at the time, but matter how I tried, I didn’t gush over it. It remained very sweet. There is absolutely nothing wrong with it being sweet though, it is the kind of sweet that touches you a little inside and makes you happy and then breaks your heart while making you smile. I will say a strong point was most definitely the characters. 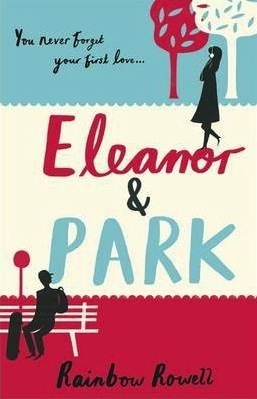 This book is all about the characters and I loved them; I loved their uniqueness, how different Eleanor is from, dare I say it, most girls. I also loved that Park is who he is regardless and he gets through high school as best he can. I loved that I was surprised and proud of these two, I adored them just a little and Rowell has written them well. I feel their characters were able to shine in the setting they were given, the 80s was a great environment to tell this kind of story, one I think needed the retro feeling. The narrative was well told, Rowell gives you both Eleanor and Park’s point of view and seeing them interact with one another from both sides is a great example of misconceptions and hiding personal truths. I felt sorry for Eleanor’s life but proud of her at the same time. I felt she was a wonderfully strong character even when she didn’t feel it herself. Park’s initial reservations and desire not to stand out by helping her is a kick in the gut but you also understand where he is coming from (even if you think him a coward). Social expectations, bullying, and peer pressure are all explored in this novel, and Park is a clear example of trying to remain unnoticed, seeing something is wrong, but not being strong enough to stand up against it. 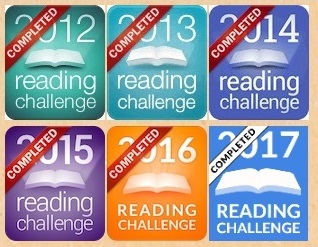 Seeing his development over the book was good, a bit disappointed it took as long as it did, but I ended up being proud of him which is a good result. I don’t think this needs to be a Big Grand YA, I think this is a beautifully sweet and wonderful story that gets you right in the heart and makes you pity and love these foolish teenagers and their lives. Maybe the very fact that it is sweet and heartbreaking is what makes it wonderful?